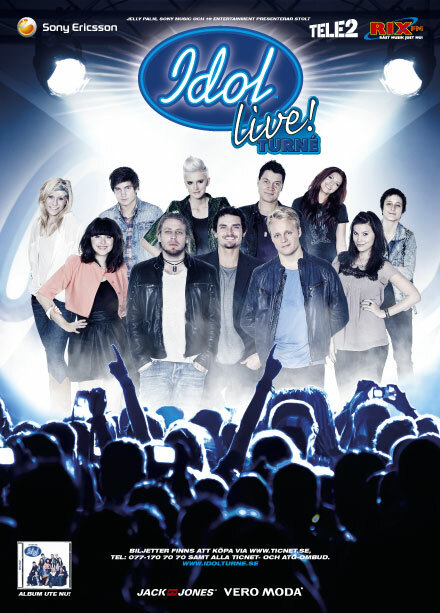 Idol-2010 has finished few weeks ago but right now gang packs their bags for a new tour around Sweden with favorite songs and best performances but without jury and voting, not like competitors but friends and we hope that it means audience will fall for more of them and will give them their hearts and artisitic future. 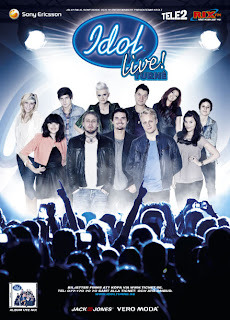 Speculations flow about next Idol season to be the last because of catastrophically low viewing numbers of Idol-2010 and as well possibility of showing Swedish version of X-Factor instead. Peter Jihde has announced that he's not going to be host of the show next year, it's unclear yet who will be next jury but I pray this amazing show that gave so many amazing artists to Sweden won't be closed and will get a new breathe next Autumn. In the last week of December Idol runner-up Minnah Karlsson has entered with her debut album at #5 of Swedish chart, the winner Jay Smith has stayed at #1 and what about the rest of talented participants? Many of them were invited to some tv- and radio-shows to demonstrate their talents one more time. For example Linnea, Olle, Geir and Andreas Weise have become guests of morning show on tv to sing acoustic cover of Bob Sinclar's "World, Hold On" putting loads of personality in every vocal part. Also third place of Idol - Olle Hedberg has come to Förkväll to perform his version of "Talking about a revolution" covered by him on Idol and also "Christmas in Washington" in acoustic.